Those who have ever dreamt of getting on the board of a UFO might soon get the chance to do it, no alien befriending necessary. 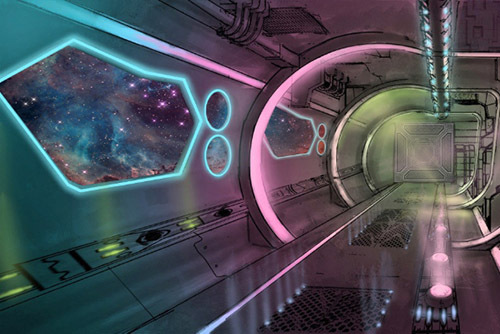 This is because Luis Ramallo, the successful entrepreneur behind Nevada’s Alien Fresh Jerky is bent on building an outer space-themed hotel in the desert town of Baker, California, just outside Las Vegas. This is to be the first spaceship-shaped hotel in the world and the (almost) materialized dream of many sci-fi fans. 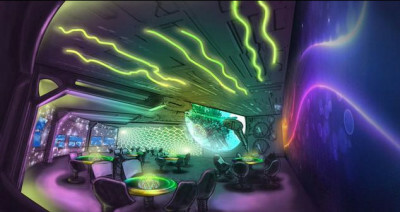 Even though it is just breaking ground and still in the stage of gathering funds, the hotel already mesmerizes with its concept, rendered to the public and potential investors in the form of comic book-like drawings of an immense spaceship and its futuristic interior. 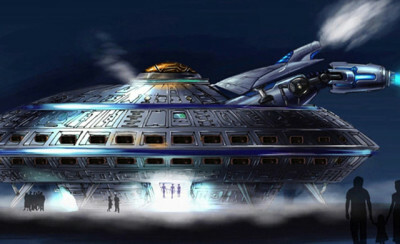 The hotel is designed and built in the form of a mothership. 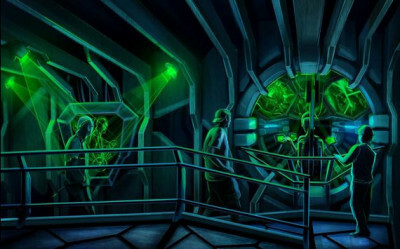 The idea is for the guests to feel as if they are stepping onto an alien spacecraft, from the reception area, where the costume-wearing employees will check the guests in and out on touchscreen devices, to the corridors resembling a sci-fi movie set and pinpointed by plenty of picture-taking opportunities. 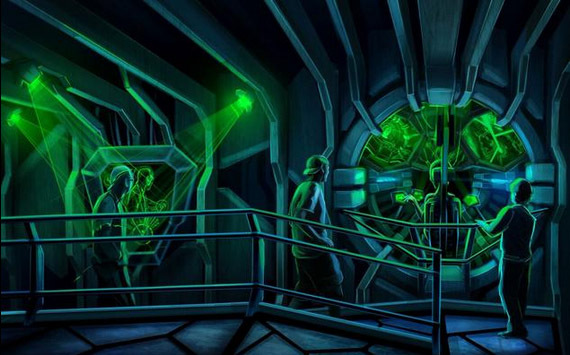 In the lobby, large monitors will continuously stream outside activities in real-time, while the walkaways will look as if the guests are travelling through space, with stars, planets and the dark space as the only view. 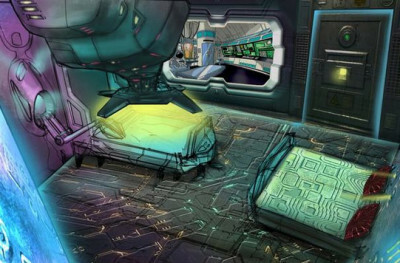 The 31 rooms are designed around alien themes, from floating cities to futuristic weapons and transporter rooms. The two-floor hotel is to be completed with a space-themed spa, gift shop, nightclub and an alien-themed restaurant among other attractions. 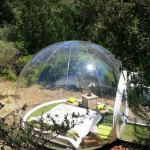 Wedding and event venues will allow the guests to choose their favorite planet as a location. But Luis Ramallo does not intend to stop here. He envisions an entire alien colony endowed with a mothership mall, a stadium and a convention center. For those who don’t have the patience to wait for the future, a trip to Baker, California, may be all is needed to reach comfortably across space and time.